"Lauren has the authenticity, the sound and the knowledge of the folk/blues genre that other acts can only aspire to. She is a true entertainer, weaving the stories and history of the music into her performance and connecting with her audience on a personal level....the folk/blues tradition is safely and lovingly carried on by Lauren Sheehan." Gray Eubank, Director, Portland Revels. "The first thing that strikes me is the beauty and clarity of Lauren's voice. It's like discovering some new instrument that combines qualities of fiddle and clarinet, fresh but with deep roots, accompanied by some pretty impressive guitar work. Lauren's music is rich with ingredients that nourish the human spirit." "She is a class act, it was a pleasure to have her in the mix." "The lost and found in Lauren's music telegraphs a lifetime of discoveries, disappointments and last laughs. You can see it in her eyes, you can hear it in her music. Her wick is lit and she can't do anything but let it burn and spread warm musical light,"
"You shine amidst the testosterone,"
Wonderful Review giving Two Wings a 9 of 10! "...something personal, powerful and ancient-sounding,"
"One Of Our State's Treasures, A Diamond In The Oregon Moss,"
Review by The Old-Time Herald magazine. Review by Sing Out! 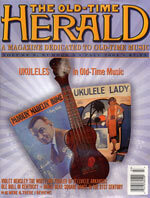 Folk Music/Folk Songs magazine, page 118. UK / Review by Blues In Britain magazine. Spain / Glowing review by Vicente Zumel from Radio PICA - La Hora del Blues. Some Old Lonesome Day review written by Sarah Meador. Exciting new review of Some Old Lonesome Day and interview with Lauren in Blues On Stage. Burnside Distributors will be placing "Some Old Lonesome Day" into music stores nationwide starting in September 2003. Ask your local store to request and display it! "Lauren Sheehan...the woman with a voice dipped in cream." "I'd amend Paul Stamler's quote to say 'dipped in a good sippin' whiskey.'" "Sheehan is a mountain siren sure to lure anyone to her cabin..."